I am a graduate student in English at the University of Victoria. 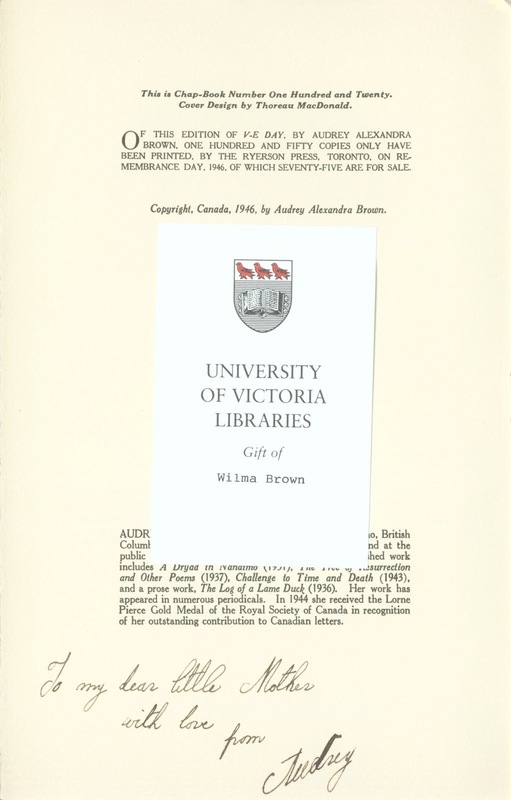 This year in the Maker Lab I am looking forward to working with the University of Victoria Library to build a scholarly exhibit based on its Audrey Alexandra Brown fonds. Brown was a poet from Vancouver Island who has gone largely unnoticed in literary and historical criticism. Her archives include unpublished poems, newspaper publications, early work, photos, letters, biographical materials, and reviews. While digital remediation of this material does not ensure renewed scholarly attention, it certainly plays a role in the extent to which an author can be studied. Thus, under the guidance of Chris Petter and Corey Davis at the UVic Library, with support from Editing Modernism in Canada, and with Maker Lab resources, I am hoping to build an exhibit that will bring renewed attention to this overlooked Canadian writer. While I had undertaken some of the digitization for a digital humanities seminar (with Jentery Sayers) last semester, a meeting with the UVic librarians earlier this month made me realize how much space I need for storage as well as how much metadata work is yet to be done on the exhibit. We discussed various options for both these issues. Basically, the past few months have been preoccupied with questions of storage and discoverability. Where can I house this material so that it remains stable and searchable? What digitization process must I follow in order to ensure that Brown’s remediated archival material is qualified for these storage spaces? What metadata needs to accompany this material, and how will it map on to the library’s system? In meetings with Chris Petter and Corey Davis, we decided that the best way of housing the materials so that I would also have permanent URLs for the data, was through CONTENTdm, a system already used by the library for much of its digital material. CONTENTdm uses the Dublin Core ontology to attach metadata to images, audio, and text materials, which can then be searched through WorldCat and thus made available to a larger scholarly community. In meetings with Nancy Stuart and Gail Fowler, we established the criteria I could follow for the metadata, including which fields to use and how to format the information. These criteria have guided me as I more precisely document the materials I’ve scanned so that they can be uploaded into the library system. Due to time constraints, I will be unable to digitize all the material in the Brown fonds, so my questions at this time pertain to exigency. What materials most need to be digitized at this historical moment? What kinds of stories can this archive tell? Post by Jana Millar Usiskin, attached to the AABrown project, with the exhibits tag. 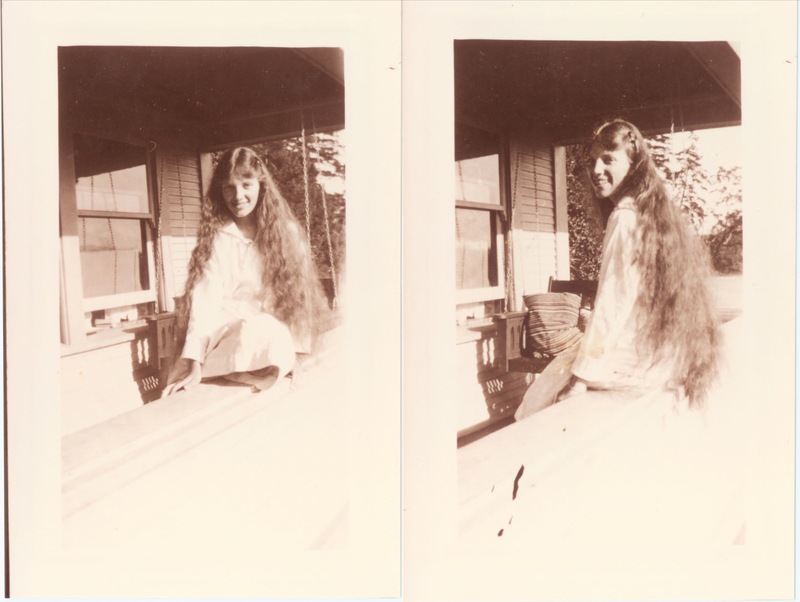 Featured images for this post care of the Audrey Alexandra Brown Collection at UVic. Digitization by Jana Millar Usiskin.